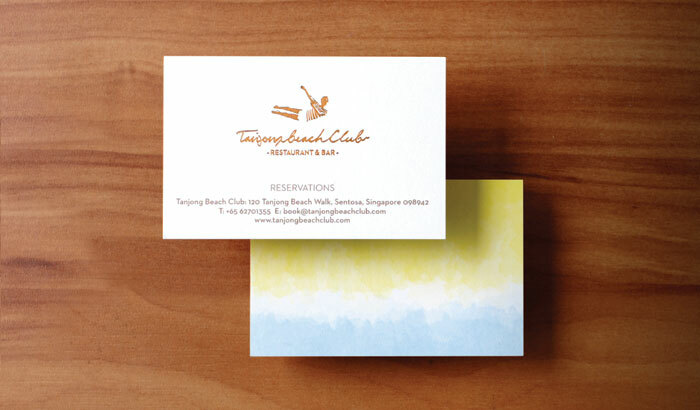 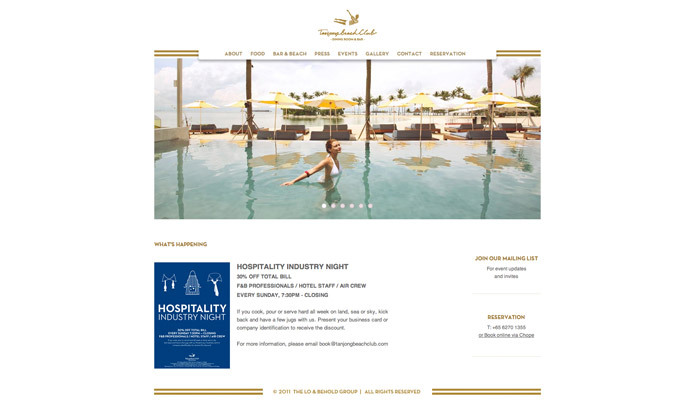 Singapore’s premier sun-kissed playground, Tanjong Beach Club (TBC) is an amalgam of restaurant, bar and an easy escape from the busy city. 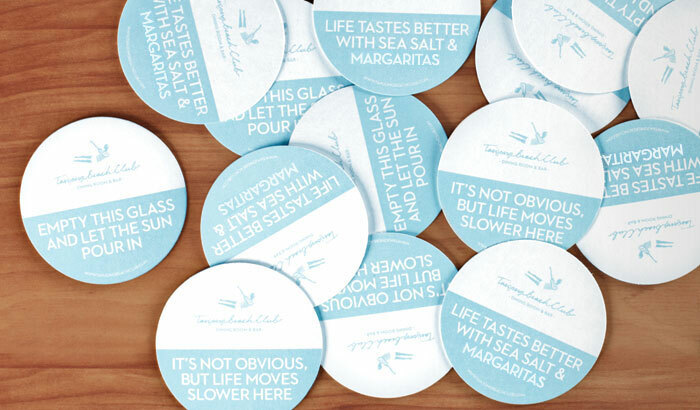 The identity centres around a tongue-in-cheek attitude, incorporating rollicking lines such as “Life Tastes Better with Sea Salt and Margaritas” into its collaterals. 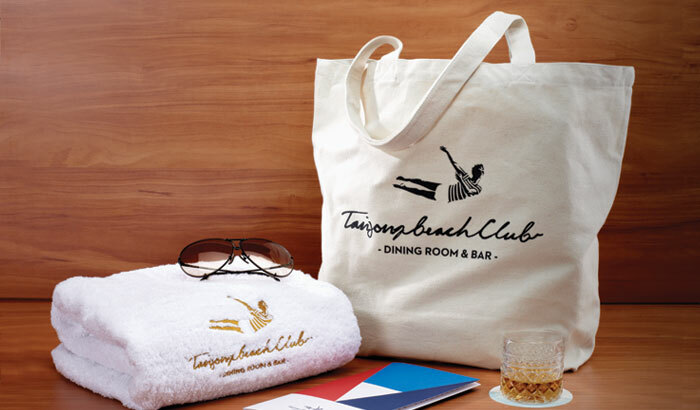 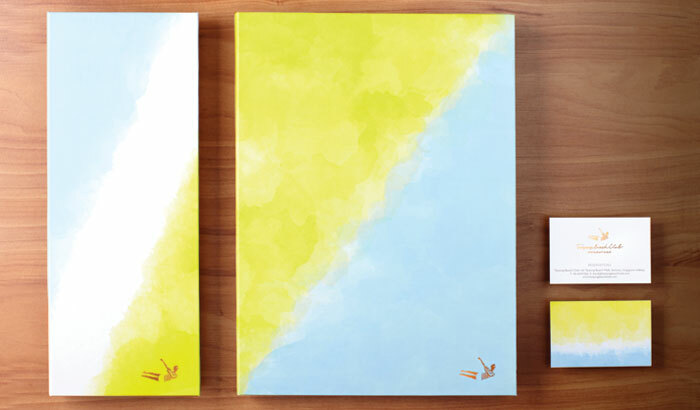 Resonating with the identity, the logo features a man diving with an unbridled attitude. 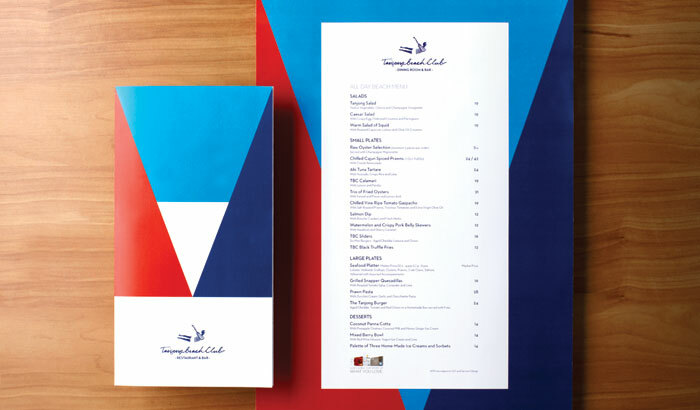 Graphical patterns inspired by nautical flags were also applied onto menu designs to complement the mid-century influenced architecture.